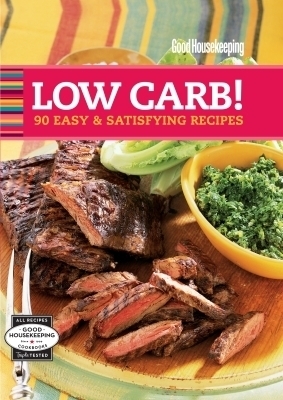 Low carb-with high flavor! Good Housekeeping provides an inspiring collection of delicious dinner recipes that help you shrink your carb count while satisfying your appetite at the same time. Main dishes include Sesame Chicken Stir-Fry with Asparagus; Chile Steak with Avocado-Tomato Salad; and Crab Cobb Salad. Tasty ideas for sides help you round out your carb-smart meals.